Between booking travel accommodations and registering in advance, there is a lot of preparation work that goes into planning college tours. In addition to nailing down all of the logistics, students should pack strategically in order to feel prepared during every campus visit. Podcasts can be a great way to spice up your commute to school or pass the time while traveling for college tours. In addition to their entertainment value, many of these popular radio shows are filled with interesting facts and important discussions. College tours can feel a little intimidating, especially if this is your first time visiting a campus. In order to keep your nerves under control and learn as much about each institution as possible, it is important to plan ahead and prepare for every visit in advance. Whether it’s bussing tables at a local restaurant or babysitting your neighbor’s kids, after school jobs are an excellent opportunity for students to gain real-life experience while getting a head start on savings. If you think it is too early to start planning summer break, it’s time to reconsider! Planning meaningful experiences for June, July, and August can help high school students discover new passions, fine-tune ongoing interests, and gain inspiration for college applications and essays. 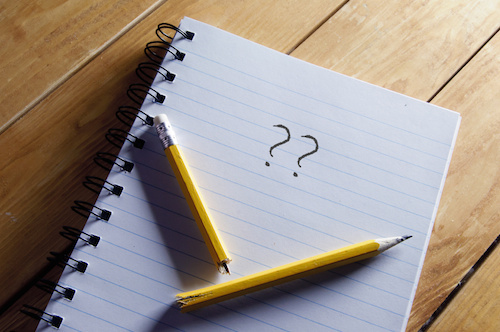 When it comes to the college admissions process, the first question students are often asked is “what do you plan to study?” Choosing best-fit schools to apply to is stressful enough without factoring in that students also have to make hard decisions about what they want to major in while still in high school. Can Colleges Rescind Offers of Admission? You’ve worked hard throughout high school, put together stellar applications, and gained admission to your top-choice schools, but your admissions offer can be in jeopardy even before you graduate. Why? Senioritis strikes many college-bound 12th graders each year, with declining grades and school participation making it very likely that their offers of admission could be rescinded once final transcripts go out. The Common Application has announced that the personal statement essay prompts for the 2019-20 admissions season will remain unchanged for the third straight year. Your Apps are In – Now What? For high school seniors across the country, the past few months have likely been a whirlwind of writing, editing, and putting the final touches on early and regular round college applications. While finishing up the last of your applications can feel like a satisfying achievement, many students are at a loss for what to do next. Whether you are working on a scholarship application, asking for a letter of recommendation from a teacher, or applying for a job, a resume is a valuable tool to compile all of your achievements on one page. However, it’s important to keep in mind that when it comes to resume writing, longer doesn’t necessary equal better. If you are worried about missing out on holiday festivities once college starts, have no fear! Campuses across the country have their own unique ways of celebrating the end of the year and the traditions are as varied and diverse as the universities themselves. For those traveling for the holidays, or maybe a family helping an older sibling move back home for winter break, stopping by a school of interest can be a fun way to break up the trip and help younger students see a college campus for the first time. While a winter break college visit isn’t as impactful as visiting while school is in session, it can help younger students get a better sense of what they’re looking for when building their balanced college list. Winter Break is Around the Corner But Don't Check Out Just Yet! If you’re considering applying to medical school, it’s likely that you’ll be using the American Medical College Application Service (AMCAS) to apply to your best-fit medical school programs. Before you start formulating your medical school application strategy, however, it’s important to understand what to expect. Winter break is approaching, and instead of spending the entire break binge watching your favorite shows, consider stepping away from the screen for a bit and picking up a few books. Not only will winter break outside reading help you stay sharp during your vacation, it can also help prepare you for college coursework, which is often literature-heavy. How Important Are College Visits? Most high school students are aware that the college admissions process is multi-faceted and can be very time-consuming. With the demands of building a college list, preparing for standardized tests, writing application essays and more, it can often feel like “fun” things like college visits shouldn’t be prioritized. However, not all applicants understand the unique and important role campus visits play in the college admissions process. For many students, Thanksgiving is a time to catch up on sleep, visit extended family, and enjoy an all-you-can eat feast. However, high school seniors should add one more item to their holiday agenda: crafting thank you notes for the teachers and counselors who have penned their letters of recommendation. The holidays can bring together friends and family members that may not be able to see each other frequently, and that can result in a lot of catching up over dinner conversation – especially when a student is applying to college. It’s not unusual for family members to default to the college conversation as soon as they see a high school senior, but sometimes this can unintentionally lead to additional stress or students just having the same discussion over and over again. Here’s how parents, students, and family members can approach the college conversation this Thanksgiving. College course options aren't just limited to statistics and Biology 101! In addition to one-of-a-kind traditions and unique spooky stories, many universities have an array of specialized course offerings that are tailored to student’s interests, current events, and trends. If you think grades and standardized test scores are the only factors that matter to college admissions officers, it is time to think again. While these types of quantitative measures are certainly important, there are a variety of other components that will carry considerable weight on your college applications, including how you spend your time on the weekends and after school. With campus visits and college fairs, the fall is an important time for students to learn more about the schools they’re interested in and what it takes to gain admission. College fairs and information sessions during campus visits give students the opportunity to interact directly with an admissions officer and have their questions answered by a member of the team that makes the decisions. Most colleges will require recommendation letters as part of the admissions process, but why do they matter? For many students, recommendations can be an afterthought as it’s one part of the application they don’t actually have to write, but neglecting this important application component can hurt your applicant profile. Halloween season is here and for those who love a good spooky story, look no further than some of the schools on your balanced college list. Instead of saying goodbye to festive activities in high school, many colleges offer students the opportunity to amp up their holiday celebrations, thanks to an array of ghost stories, haunted halls, and one-of-a kind autumnal traditions. The ACT recently launched computer-based testing (CBT) for all international students testing outside of the United States. A first sitting of the ACT in the CBT format occurred in September, and while there were a few bumps with the initial proctoring of the exam (test centers cancelling administrations last minute and materials not arriving on time) it seems that the ACT has finally ironed out some of the quirks. Here’s what international students need to know about the computer-based ACT – including some of the quirks with the new tools and practice materials. Much like adjusting to the academic and social changes that come with college, many first-year college students have to adapt to living in a shared dorm room space. It may sound simple, but there is a lot that goes into forming a strong relationship with a roommate and occasional disagreements are almost inevitable. Instead of letting a roommate conflict diminish your first-year experience, there are a variety of steps students can take to make the most of dorm living. Often the college prep advice that students can best relate to is that given by peers going through the same journey. So what insight do students currently navigating the college admissions landscape have for others? We caught up with IvyWise pro bono student Eunice to get her take on what students need to keep in mind when applying to college this fall, and some advice for students who may be just starting the college prep process! For most students, the transition from high school to university life can be a significant adjustment and can come with stressors that they may not be used to coping with. College is often the first time students are living away from home and there are a host of responsibilities that come with living independently. In some cases, it can be hard to avoid speaking in public. Whether you’re a high school student presenting at a science fair, or a college student taking a debate course to fulfill a credit requirement, chances are you’ll have to speak in public at some point. Speaking in front of others can be intimidating, but mastering this skill can go a long way toward helping you excel in high school and college. If you are struggling to make it out the door on time, feeling drowsy during your first three classes, or forgetting assignments at home, it may be time to rethink your morning routine. Many students make hitting the snooze button their default, but this usually isn’t the most effective way to kick-start your day. Start the new school year off on the right foot by revamping your morning routine with these organization strategies that are sure to help you feel on top of your game all day long! The 2018-19 college application season is in full swing, and with the opening of the Common Application on August 1 came the release of many school-specific supplements with some quirky and creative college application essay prompts and short answer questions. It’s back-to-school season, and for many first-year college students this is the first time they’ll be living in a dorm and sharing a space with one or more roommates. College move in day can be hectic, but there’s a lot that students can do to ensure they have a smooth transition into college life. For many students back-to-school season is already here, and with the opening of the Common Application on Aug. 1, the pressure to start on college applications is already on. While it’s smart for students to get a head start on their college applications during the summer, it can be overwhelming, especially if you’re not sure what to write about in your essays – or how to write it. Back-to-school season is upon us, and as students across the globe prepare for their first year in college, there are a lot of extra expenses to consider outside of tuition and room and board – most notably the cost of textbooks. For first-year students who have never bought their textbooks before, navigating this new experience can be tricky. However, there are ways to shop smart for your textbooks this fall. The Common Application officially opened for the 2018-19 college application season on August 1, allowing students across the globe to begin their college admissions journey. But what is the Common Application, exactly? Who can use it and when? Understanding the Common App and other college application options can make your college prep strategy easier to formulate. The Common Application may be a couple of weeks from opening for the 2018-19 college application season, but a number of colleges and universities have already announced their supplemental essay prompts for the next admissions cycle. The 2018-19 college admissions season is already underway, and with the availability of the Common Application and the newer Coalition app, students have some options when it comes to college application platforms. While the Common Application is used by far more colleges than the Coalition app, some colleges use the Coalition app exclusively, so students should know what to expect should they have to utilize the Coalition app to apply any of the colleges on their balanced college list. For some international students applying to US universities, TOEFL scores can be a big factor in the admissions process. It’s important for international students to understand if they need to take the TOEFL, when to take it, and how the scores are evaluated by admissions officers. It may be summer break, but the college admissions process for rising high school seniors has already begun! We caught up with one of our students to get her advice for students planning to apply to college this fall – and for those who are just now thinking about their college prep. Planning college visits this summer or fall? College visit costs can add up quickly, especially if students have many schools they’d like to visit as they narrow down their balanced college lists. However, there are a number of ways that families can save some money on college tours. The ACT is shaking things up this year for international test-takers. Starting in September 2018, the ACT is transitioning to computer-based testing for all international students, meaning students will need to take their entire examination on the computer (unless the student has approved accommodations that approve them for paper testing). 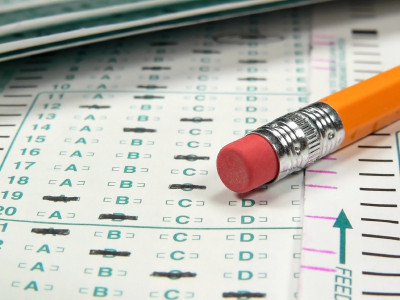 A question we often receive is “what is superscoring?” College-bound students are often confused about what it means to superscore, which colleges do it, and how it impacts submitting their SAT or ACT scores. But we’re here to help! Here’s what students need to know about the logistics of superscoring and how it may improve your score profile when applying to college. Does Community Service Matter In The College Admissions Process? A recent survey of college admissions officers found that community service can be a tipping factor when making college admissions decisions. In fact, 53% of those surveyed said that community service can almost be a “tie-breaker” between applicants who are equally qualified. So how is community service viewed in the context of a student’s application, and what can students now to pursue meaningful community service opportunities? Juniors: Still need to take the ACT but worried you’re running out of time? Fear not! You now have more chances than ever to wrap up your test prep before senior year, even with the school year coming to a close. This year will mark the first administration of the July ACT, which will be held on July 14. We hear it every year: College admissions officers are checking out applicants’ social media profiles and it can affect how they’re viewed – especially if there’s anything particularly egregious out there. The latest Kaplan survey of college admissions officers found that almost 70% of them think that looking at social media is “fair game” in the admissions process. In March, seven IvyWise team members traveled to Guatemala with School the World as part of the organization’s first corporate service trip, where they built a school for a community outside of Santa Cruz del Quiche. A Waitlist Decision Can Be Confusing, So What Should You Do? So you’ve been placed on the dreaded waitlist. Now what? There’s actually a lot that students can do to maximize their chances of admission off the waitlist. If You're Denied Don't Give Up Hope! Receiving a denial from a college can be extremely disappointing, but it’s not the end of the world. There are a number of things that students can do to deal with a denial – and focus on the positives. Here's What to Do If You're Accepted! More college admissions decisions are coming out this week, and we have some advice for students who were accepted to their top-choice colleges. College visits are an important part of the college prep process, as it help students learn more about schools of interest in order to build their balanced college list. Campus visits are a marathon – not a sprint – and taking along the right items can help make your time touring schools a lot easier! While some colleges and universities require SAT Subject Test scores as part of the application process, many students choose to take them as way to demonstrate their interest in a particular area of study. There are a number of SAT Subject Tests that many students tend to gravitate toward, so we’ve compiled a list of the five most popular SAT Subject Tests! SAT and ACT Prep: How Many Practice Tests Should I Take? Practice tests are an integral part of any test prep program, especially when you’re preparing for the SAT or ACT. Regardless of the test you plan to take, practice exams give you an opportunity to challenge your skills and gauge your progress. Many ED II decisions for the class of 2022 will be released this week, with students finding out if they were accepted, rejected, or deferred at their top-choice colleges. Here’s what students need to do one they learn of their decisions. The spring semester is a big test prep season, and for a lot of students, the math section of either the ACT or SAT can be challenging – and often the difference between their goal scores or slightly missing the mark. There are a number of mistakes that students make on the ACT Math section that can be avoided with proper test prep and guidance. The Common Application has announced the personal essay prompts for the 2018-19 admissions season, leaving the prompts from 2017-18 unchanged. The spring semester is a big test prep time for college bound students, as many juniors will be taking the SAT or ACT in the coming months. Taking practice tests is an essential part of the test preparation process because the best way to prep for the SAT or ACT is to actually take them! But it’s not enough to take practice tests. Students also need to simulate the test day environment as best as they can. We can’t stress the importance of outside reading enough. Oftentimes it’s hard for students to find the time to read books or other materials for fun, but winter break is the perfect time to catch up on some outside reading you haven’t been able to do this semester. Winter Break is here! Time off between now and the New Year brings family time, trips, holiday fun, and hopefully some rest! However, for some students, this break can also lead to a smaller-scale version of the brain drain that we tend to see over the summer. Tests, projects, and standardized tests like ACT and SAT will pick up again as soon as students are back to school after the break, so it’s important for students to stay sharp so that they don’t fall behind once school resumes. There’s a lot to be thankful for this Thanksgiving holiday, and college bound high school seniors have more than a few things to show appreciation for this week. As the holiday season approaches, many college bound seniors are taking advantage of some time off in order to catch up on their college applications. Essays can be the most time-consuming and stressful part of the college admissions process, however, with the right tools and resources, students can put together compelling and thoughtful essays well before the looming application deadlines. 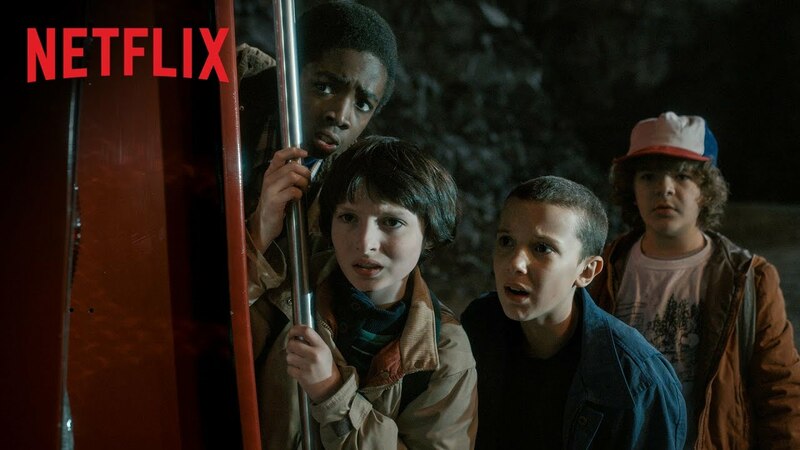 Will My College Application Be Sent To The Upside Down? Some of the first application deadlines have already passed, and with a little less than two months to go before regular decision deadlines, students are grappling with some strange college admissions emotions. If you’re preparing to take the ACT this fall, it’s important to understand the exam’s content, format, and test-taking strategies in order to maximize your performance on test day. The ACT Math section is a great entry point for students in order to understand how the ACT is organized as well as the test’s key differences from the SAT. Whether it’s AP or IB courses, continuing standardized test prep, or just keeping up with regular coursework, students have their work cut out for them this school year. While many of our students work with IvyWise tutors throughout the summer and school year to get a leg-up with these subjects, many students and tutors alike have also taken advantage of the limitless online resources available to them. It is 2017, after all, and it wouldn’t be the 21st century without implementing technology to supplement students’ tutoring and learning! If you’re preparing to take the ACT this fall, it’s important to understand the exam’s content, format, and test-taking strategies in order to maximize your performance on test day. The ACT Science section has long been a source of worry for many students who do not consider themselves strong in the sciences – including those who are deciding which test to take. The ACT’s distinct ‘Science’ section is, after all, the most obvious difference between the ACT and SAT exams. So what can students expect on this portion of the ACT? It’s SAT and ACT season for college bound students, and many will go into these tests with a calculator in-hand. Make sure you know how – and when – to use it. Expanding your vocabulary is important in high school, especially when preparing for the SAT or ACT, as they both have sections that will test your reading skills and your knowledge of certain words and their definitions. There are a number of free apps that students can use to enhance their vocabulary and make the most of their test prep. Junior year is a big testing year for college bound students, and as they prepare for the SAT or ACT many students might not be taking the test for the first time. It’s not uncommon for students to take the SAT or ACT multiple times, but how many times is too many? The school year is coming, but what does that mean? Students will begin thinking about (or stressing about) when they should take their college placement exams. While students usually have a reasonable handle on when to take the SAT or ACT, there seems to be confusion on whether or not to take SAT Subject Tests and when. If you’re preparing for the ACT with the goal of raising your score on the ACT Reading section, it’s important to know what’s new and how to approach the passages and questions in this section of the exam. New ACT Redbook 2018: What’s the Lowdown? The makers of the ACT released a new version of their own preparation ‘Redbook’ this past June. While it is mostly resembles that of the previous version, the new release is a great opportunity to discuss how students planning to take the ACT can best make use of the book while preparing for the exam. It’s that time of year again! The 2017-18 Common Application is open, and now's the time for the class of 2022 to start on their college application essays and supplements – which can sometimes include weird and unusual essay prompts and short answer questions. Looking for the 2018-19 Coalition application guide? Click here. The 2017-18 admissions season is ramping up, with the opening of the Common Application on August 1 and the availability of the Coalition application. Over 100 colleges and universities plan to use the Coalition application this year, and there have been a number of changes and enhancements that students and parents need to be aware of before starting on their applications this fall. Preparing for the SAT or ACT is a major aspect of the college admissions process, and part of determining the best test prep strategy is to know exactly when you plan to take these college entrance exams. We’ve pulled together the SAT and ACT test dates and registration deadlines for the 2017-18 school year so that college-bound students can access this information in one place – and better prepare for testing this fall and next spring. August is just around the corner – which means a new Common App and the start of a new college admissions season. For rising seniors and juniors, the last few weeks before the start of the school year is a great time to research potential colleges in order to develop and refine their balanced college lists. The summer is a great time for college-bound seniors to begin working on their college application essays, as many colleges and universities have already released their essay prompts for the 2017-18 college application season. Are You Having a Productive Summer Break? We can’t stress enough the importance of a productive summer break when preparing to apply to college. While students can use the summer break to relax and recharge, they should also use some of that downtime to explore their interests, catch up on test prep and outside reading, and more. Class of 2022: Have You Started On Your College Applications and Essays? The school year may be coming to a close, but the college admissions process is just starting for rising high school seniors (aka the college class of 2022). In addition to preparing for standardized testing and finalizing college lists, rising seniors also have the opportunity to get a head start on their college application essays during the summer break. Summer is in full swing, and while rising high school seniors are turning their focus toward the college application process, those who have already graduated are preparing for their first year in college. There’s a lot that rising college freshmen can do this summer to prepare for their first year on campus. This spring, at least 10 members of Harvard’s class of 2021 had their offers of admission rescinded after the university was alerted to a private group message in which some incoming freshmen were posting offensive memes. This is a good opportunity to remind college bound students of the effect social media can have on the college admissions process before – and after – applying. Whether you got a late start on the college admissions process, or you weren’t accepted to the colleges to which you applied, there’s still a chance to secure a spot in the class of 2021. NACAC’s annual College Openings Update: Options for Qualified Students survey lists over 500 colleges and universities that have space available for the freshman class entering fall 2017. Understanding test content, formatting, and changes are important when preparing for the SAT – especially the Math section. There have been a number of changes to the SAT math section since the launch of the new exam in 2016, and IvyWise is here to help students better understand how to master this portion of the SAT. The May 1 enrollment deadline for college bound seniors is fast approaching, and while many students may know where they want to spend the next four years, the jury may still be out for others deciding where to enroll for the fall. The admissions cycle for the class of 2021 may be over, but the college preparation journey is just starting for current juniors who are planning to apply to college this fall. Students are getting started on their applications earlier than ever, and it's important to stay informed on the latest Common Application changes before the summer and fall. What If I Get Rejected From My Top-Choice College? As colleges begin notifying applicants of their regular admission decisions, many students, especially those who applied to highly-selective universities with notoriously low admit rates, will be faced with their worst-case scenario: a rejection from their top-choice college. Receiving a rejection from a top-choice college can be crushing to students, but it’s not the end of the world. Understanding test content, formatting, and changes are important when preparing for the SAT – especially the writing section. There have been a number of changes to the SAT writing section since the launch of the new exam in 2016, and IvyWise is here to help students better understand how to master this portion of the SAT. Last year saw some big changes for the SAT, and now both the College Board, which administers the SAT, and the ACT have announced changes for the 2017-18 testing season, including tighter security, new test dates, and more. Looking for regular decision release dates for the Class of 2022? Click here! As we draw closer to the middle of the spring semester, college across the country are working hard to get through hundreds of thousands of college applications to the class of 2021 in order to deliver regular admission decisions by the end of March. We've compiled a comprehensive list of admission decision dates for 2017 here. Regular decisions for the class of 2021 are far from being released, but the college admissions process for current high school juniors is already revving up with the announcement of the 2017-18 Common Application essay prompts. We’re almost a year removed from The College Board’s rollout of the 2016 SAT test redesign, so students and parents by now have a better sense of the test’s layout—that the reading section, for example, contains 52 questions and is timed to 65 minutes. There are however a couple of major conceptual changes in the SAT reading section that will be helpful for how students and parents approach preparing for the test. While there are a number of colleges still accepting applications for the class of 2021, many college application deadlines have passed and a lot of high school seniors have finished applying to college. So what happens next? College application deadlines are just days away, so now is the time for students to put the finishing touches on their apps, and double check for any mistakes. 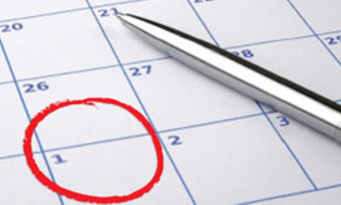 Regular Decision Deadlines Are Almost Here! The clock is ticking and college bound students only have a little less than two weeks before regular decision applications are due. Many students will spend their winter break finishing their college applications, and we have some tips to help make that task a little easier. Congratulations! You were accepted to your early decision or early action college. But what do you need to do next? There are a number of things to consider moving forward, so it’s important for students to weigh all their options before accepting an early offer of admission. PSAT Scores Are Out Today. Do You Know What They Mean? PSAT scores from the October 2016 sitting will be released to students on December 12, and you may have questions about what they mean and how you can use them to your advantage. Here's our guide on how to read your PSAT score report. All the focus might be on seniors right now, but this is actually the perfect time for high school freshmen to start thinking about their college goals – even if they seem really far off. Ready to start your college prep but not sure what some of the college admissions lingo means? We’re here to help. When is it appropriate to send a thank you note or email when applying to college? Students are likely to meet a variety of admissions officials when visiting colleges and attending college fairs, and while it’s not required, it’s a good practice to send follow-up thank you notes. For students applying to college, learning ACT or SAT scores is a big milestone in the admissions journey, and can heavily impact their college prep strategy going forward. If you’re taking the SAT or ACT this academic year, make sure you know when SAT and ACT scores are available and how that factors into your college prep timeline. Taking the SAT or ACT is a big element of the college admissions journey for many students, and it’s important for students and parents to know when the exams are offered, when to register, and how much it costs. What does it take to get into your top-choice colleges? There are a number of admissions myths out there and various “tips and tricks” that promise to help students gain admission to their dream schools. At IvyWise, we have access to college admission experts who know what colleges are looking for and what students can do to improve their chances of admission, and they’ve revealed some of their top admission tips for college bound students! Few things are scarier to students than submitting their college application only to find mistakes afterward. This can lead to panicked calls to counselors and colleges, asking to resubmit their essays or correct an error. While small grammar and spelling mistakes won’t kill your college admission chances, they can lead to a lot of nightmares for already stressed-out students. Checking essays for avoidable mistakes before submitting can save students a lot of anxiety. Fall is a busy testing season for high school students, and even more so for seniors applying to college. In addition to the ACT or SAT, some students also choose to take SAT Subject Tests as part of their admissions testing. But is it right for you? As we delve deeper into the application season, it’s important for students to, not only stay informed on the latest college admissions news, but also understand how it impacts their college application strategy. With more test-optional colleges and a new college application option available, students have a lot more to consider as they apply to college this fall. When searching for best-fit colleges, size is often one of the first things that students consider. Many college bound students already have an idea of what they’re looking for in a school before they start researching specific institutions – maybe it’s a large student body with endless possibilities or a small campus with an intimate atmosphere. Going with your gut is a good place to start, but there are many pros, and cons, to certain college sizes that students might overlook when building their balanced college list. Time to go back to school? There’s an app for that! Start off the new school year by downloading these apps that will help you stay organized throughout the fall. Back-to-school season is in full swing, and we’re here to help college bound students start their fall off right by bringing them the latest college admissions and higher education news that they need to know. Did you know that you can apply to a college early and get a decision way before most other students? Many colleges offer “early” application options, with students usually submitting their applications in October or November and receiving a decision by December. With the rise in the number of students applying to multiple colleges, and the difficulty of predicting yield, many colleges are offering a number of early application options. So how do you know if applying early is right for you? As the summer starts to wind down, many students are preparing for the college admissions process this fall. It’s important to stay informed on the latest college admissions and higher education news, and we have everything you need to know right here! The 2016-17 college application season has begun! Here’s what families need to know about the first week that many students are able to apply to college. The 2016-17 college admissions season has begun, with the availability of the 2016-17 Common Application and the launch of the new Coalition Application. With the start of the new application season comes some strange and quirky essay prompts. The start of the next admissions season is just days away! Catch up on the latest higher education news before the Common Application and the Coalition Application open next week! The College Board recently released the percentiles for the new SAT, giving students a better idea of how they compare to other test-takers now that the SAT has adopted a new scoring scale. August is coming up fast, and rising high school seniors will soon be submitting the first of their college applications. There’s a lot happening in admissions right now, and we have your weekly roundup of higher education news! As the college admission season approaches, it’s time for rising high school seniors to prepare for the college application process, including brushing up on some social media tips to help them make the most of their online presence when applying to college. Here are some social media dos and don'ts to consider! It was a short week for many who celebrated the Fourth of July, but there’s still plenty of college admissions news to catch up on! We may be in the middle of summer break, but a number of colleges have released their college application essay prompts already, giving rising high school seniors the opportunity to get a head start on their admissions essays! It’s the Friday before a long weekend for many, but don’t head out before you catch up on the latest higher education and college admissions news! Brainstorming is the first step toward writing an authentic and compelling college admission essay. For some students, however, brainstorming can be a challenge. It was big week in higher education news, with the Supreme Court ruling on an important admissions case. Looking for the 2018-19 Coalition App Guide? Click here! As the class of 2021 prepares for the college admissions season this fall they’ll have an extra college application option to choose from: the Coalition application. There have been a lot of questions about the new competitor to the Common App since its announcement, and we’re here to help with a comprehensive guide to the Coalition college application including what it is, what it includes, and whether or not to use it to apply to college this fall. It may be summer break for students, but the work is just starting in the college admissions world! More schools are releasing their essay prompts before Aug. 1, students have earlier access to application platforms, and there’s a lot happening in college admissions news that could affect the upcoming admissions cycle. Here’s what families need to know. Summer break provides college bound seniors with the perfect opportunity to get a head start on their college applications and continue their college prep so they’re prepared for the admissions season come fall. With activities, vacations, and other summer plans, it can be difficult to stay on top of everything that students need to accomplish while school is out. 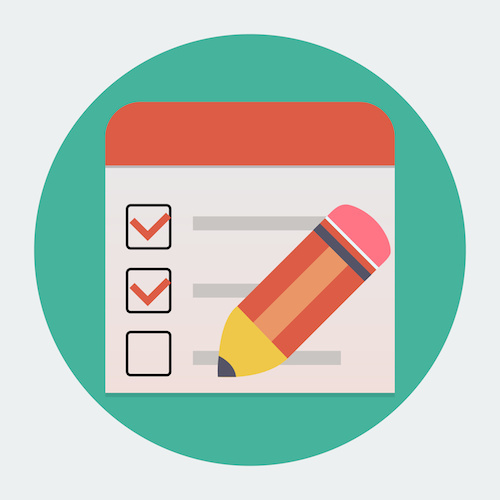 At IvyWise we aim to make getting ahead easier by providing students with comprehensive college planning checklists. It’s the Friday before a long weekend, but there’s still a lot happening in the world of college admissions and higher education news. 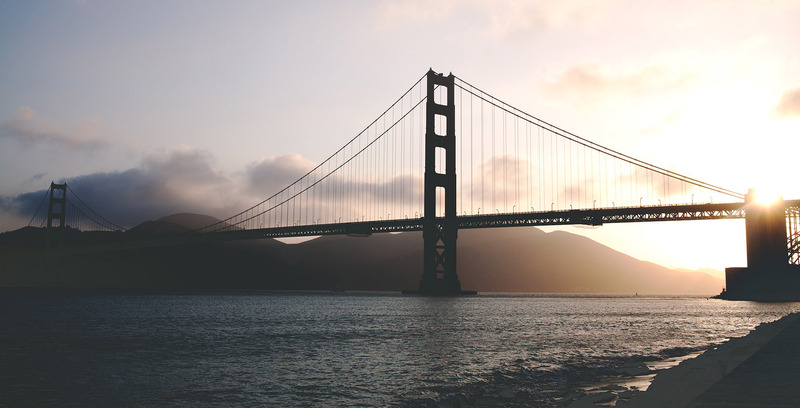 Read the latest college admissions news before you head out for the holiday! Want to see how your scores on the SAT compare to ACT? The College Board has updated the concordance tables so students can see how their SAT total scores compare to composite ACT scores. Seniors: Have you decided where you’re going to college yet? Juniors: Are you ready to start the college admissions process? There’s a lot to keep up with, and we have the college admissions news you need to know right here! College visits are a critical part of the college search process, and it’s important for students and parents to make the most of their time on campus. Before you head off to prospective colleges, make sure you know what – and what not – to do while you’re there! The college admissions process is just wrapping up for current high school seniors, but for juniors preparing for the admissions process this fall there’s a chance to get a head start on their essays. The Common Application, the pending Coalition Application, and various colleges are already releasing their essay prompts for the 2016-17 application season. We’re less than two weeks away from the college enrollment deadline, and for many students deciding among a few colleges there’s a lot to think about before making a decision about where to enroll. Should I Appeal My College Admission Decision? You were denied admission to your top-choice college. Now what? Most students and parents accept the bad news and move on, while others want to know why. In some cases it is possbile to appeal your admission decision, and every year many students take advantage of it. Success stories are few and far between, but overturning an admission decision is not impossible. There is anecdotal evidence that appeals can be successful. So the question remains – should you appeal your admission decision? It may be April Fool’s Day, but today’s weekly college admissions news roundup is no joke! The Ivy League colleges released decisions this week and everyone was waiting to see how low their admission rates would go. More colleges have released admission decisions this week, and with them comes a peek into the class of 2020. Many colleges are reporting record-low admission rates, with more decisions coming today and over the weekend. It’s a big month for high school seniors as colleges begin releasing regular decisions for the class of 2020! We have everything families need to know right here! Next week colleges will begin releasing regular admission decisions for the class of 2020, and many high school seniors across the globe are anxious to learn whether they were admitted to their dream colleges or not. It’s March and there’s finally a light at the end of the admissions tunnel for anxious high school seniors – colleges will soon start releasing their regular admissions decisions! This March will see a lot of big college admissions action, with the debut of the new SAT and regular decisions released later in the month. It’s important for college bound students and their parents to stay informed on the latest college admissions news, and at IvyWise we’re making that easier with our weekly news roundup! The first administration of the redesigned SAT is this Saturday, March 5, and for students preparing for the college admissions process, this test is a big departure from the past SAT. At IvyWise, we’re advising students to delay taking the new SAT or to take the ACT instead, as colleges weigh both exams equally, but for students who are already prepared to take the new SAT this year, here are some things to keep in mind on test-day and beyond. March is right around the corner and with it comes the first sitting of the new SAT! There’s a lot going on in higher education right now as seniors prepare to learn their admissions decisions and juniors begin the admissions process themselves. Here’s what you need to know! What Does An August SAT Date Mean For Students? The new SAT is debuting this March, but another big change for the test is on the horizon – the College Board recently revealed that, starting in 2017, students will have the option to take the SAT in August. With the addition of a test date also comes the removal of one – the College Board will also eliminate the January test starting in 2018. It was a short week for many students who celebrated Presidents’ Day, but it was a busy week in college admissions and higher education news! Teacher recommendations. Transcripts. FAFSA. These are just three of the many different types of forms that you must track when applying to college. How can you manage them all? Are you keeping up with the latest college admissions news? With the changes coming to the SAT, the Common App, the new Coalition App, and other proposed changes coming to the college admissions process, it’s more important than ever to stay informed on the latest higher education news! When Should Juniors Start On Their College Applications? Recently, the Common Application announced that the prompts for the 2016-17 application season will remain the same as last year, and that, instead of waiting for the Aug. 1 open date, current high school juniors can create accounts now that will roll over into the fall admission cycle. This is a big move, as the Common App stands to have some competition from the Coalition App, which plans to launch its “locker” feature soon and new application this summer. But what does this mean for current juniors, who are already under enough college prep pressure that these colleges supposedly want to help alleviate? 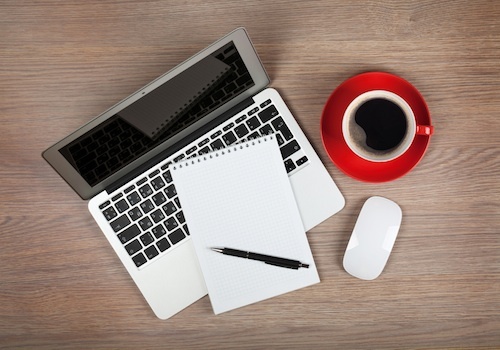 How early is too early to get started on your college application essays? The first month of 2016 has flown by, and there’s a lot of news that college bound students need to catch up on from just January alone! This is especially critical for high school juniors, as the spotlight is on them as they gear up for the college application process this fall. It may have been a short week for most students, but it was a busy one in the world of higher education. A lot of college admissions news broke this week, and we’re here to tell you everything you need to know! As seniors wait to hear back from colleges, the spotlight has now turned to current juniors, who are in a very critical phase of the college prep process. It’s important at this stage to make sure you’re informed on the latest college admissions news. Luckily, we have the week’s top higher education news articles right here. It’s only natural for teens to feel pressure when navigating the college admissions process – it is, after all, one of the biggest decisions many teens will have made up until this point. In the January newsletter we covered how to manage test anxiety, which is common among many teens taking the ACT or SAT in hopes of getting into their dream school. While testing anxiety can be crippling, the college preparation process extends beyond one Saturday morning test. Many students can feel overwhelmed going into the process, and the stress can cause problems with grades, family, friends, health, and more. Welcome to 2016! It’s a new year, new semester, and the perfect opportunity for students and parents to catch up on the latest higher education news and plan for the college application process! January 1 may have passed, but there are still plenty of colleges accepting regular decision applications. For those students who got a late start on the college admissions process, or are second-guessing their current balanced college list, there are a number of colleges and universities with later application deadlines. Many families have a lot of misconceptions about how the college admissions process works and what goes on behind the closed doors of admissions offices. At IvyWise we’re here to help clear up the confusion with our three-part College Admissions Secrets series. In this last installment we address what families need to know about applications and how admission decisions are made. Do you know what really matters on your college application? Students and parents alike can buy into a lot of misconceptions about what’s ‘most important’ to colleges and how students can work to stand out when applying to their dream school. With high school seniors in the thick of the college application process, speculation abounds about how college admissions committees make decisions, what it takes to get in, and whether or not student A is more qualified than student B. “Chancing” is a big part of this frenzy, with students turning to message boards to post their stats in an effort to gain insight as to whether or not they have a shot at their top-choice college. But really goes on behind closed doors? The changes coming to the SAT in March 2016 have left many high school juniors confused about their options and the best approach for tests and test prep. For months, we’ve urged the Class of 2017 to opt for the ACT next spring in order to avoid any uncertainties regarding implementation and scoring that come along with this major overhaul. 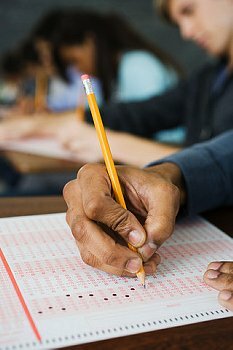 While we still stand behind the advice for all juniors to prep for the ACT, we realize there are still some that can’t get past the urban myths that ‘some schools prefer SAT’ or ‘the SAT is more coachable than the ACT.’ So for those doubters – with one big caveat – there is still the option to take the SAT in its current format with just one more offering in January 2016. It’s the first week of December, and many students are anxiously waiting for decisions from the colleges to which they applied early. It’s also crunch time for regular applications, as final deadlines are looming. Looking for early decision release dates for the Class of 2022? Click here! It’s December, which is crunch time for college applicants. There’s a month left before the Jan. 1 regular decision application deadlines, and that means that colleges will soon be releasing their early application decisions. With Thanksgiving right around the corner we’re entering the final stretch of the college application season! Deadlines are looming, and it’s important this time of year for students to stay informed on what’s happening in the world of college admissions. Many colleges are known for getting creative with their essay prompts, sometimes asking weird and wacky questions to encourage students to dig for thoughtful, creative responses. Another way some colleges are shaking up the college admissions process is with college application essay videos. With most early deadlines passed and about a month-and-a-half to wrap up regular decision applications, college-bound high schoolers are feeling a little bit of relief this week from the pressures of the college admissions process. While this is a good time to take a breather, students need to be diligent about sticking to their application timelines, completing essays, and staying informed on the latest higher education news.